Time to put your skills to the test! 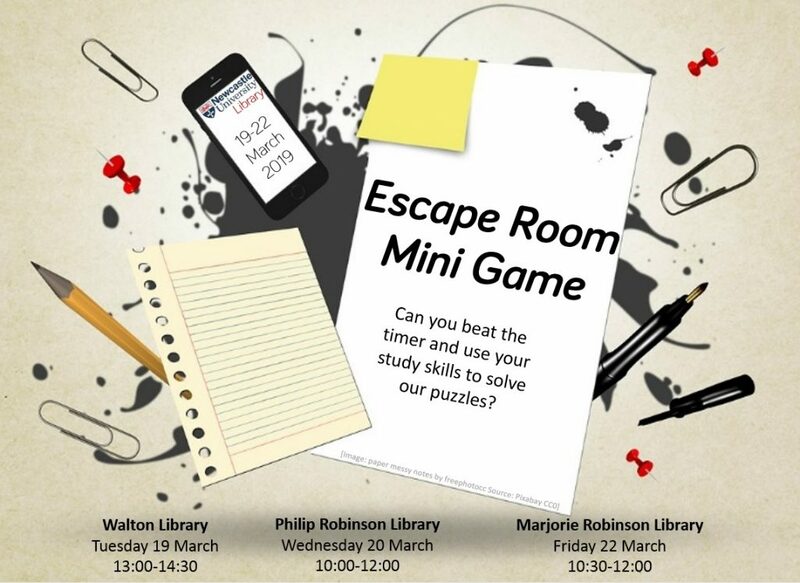 As part of our ‘Level Up Your Academic Skills’ event we will be running an exciting ‘Escape Room’ mini challenge across three different locations this week. In teams of 2-3 people you’ll be tasked with solving a series of puzzles against the clock, with the fastest team set to win a prize!